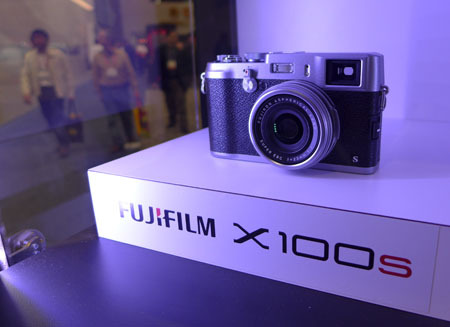 Japanese photography major, Fujifilm has expanded its product offering in the Indian market with the launch of two new models called, X100s and X20 in the country. The new X100s model comes with the Fujifilm’s new APS-C X-Trans CMOS II sensor that allows the model to operate the performance of full frame sensors. The camera comes with a FUJINON 23mm F2 ASPH fixed focus lens that offers 0.08 seconds of AF speed. The model also has a hybrid viewfinder that integrates the electronic viewfinder and optical viewfinder. The X100S ‘Digital Split Image’ feature allows the users to view dual images on the left and right for manual focusing. The camera weighs 445g and is covered by magnesium alloy panels top and bottom. On the other hand, the X20, which is the next generation model to X10, comes with a 12MP X-Trans CMOS sensor. The camera’s F2.0-2.8 lens comes with optical image stabilization and manual zoom ring and a 3 inch 460 dot LCD on the backside. The model is also capable of recoding HD 1080/60fps videos. The X20 will come with a price tag of Rs 39,999, while the X100S will be sold for Rs 74,999.